A tattoo is a form of body modification created by injecting pigments to permanently “draw” a design into the skin. This form of art is extremely popular these days, 1 out of 4 persons have a tattoo and one third of these patrons are aged 18 to 25 years old. The modern process of getting a tattoo is done by a machine called a tattoo gun that has a needle at the tip, that rapidly vibrates forward and backwards, similar to a sewing machine. The needle repeatedly punctures the skin allowing the pigment to seep into these tiny wounds and be absorbed by the tissues. People experience mild to severe pain depending on the location and of course the person’s tolerance to pain. Since this involves needles and puncturing the protective barrier of the body, which is the skin, there are always risk involved. 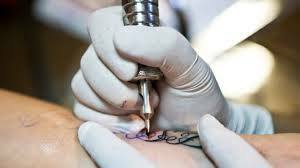 Needles, inks, ink cups, cleaning techniques of the tattoo site, the condition of the skin of the tattoo site and a lot more could be a source of infection. And if ever needles are reused, blood borne diseases like HIV and hepatitis could be transferred to one person to another. These days the risk of getting infected from a professional tattoo parlor is minimal. An aspiring professional tattoo artist takes years of apprenticeship not only to improve his or her drawing or tattooing techniques, they also learn the sterile way of doing. They also have to master how to sterile instruments using an autoclave. The most common cause of tattoo infection is due to improper tattoo care. Most tattoo enthusiast go to tattoo parlors not knowing the basics of tattoo aftercare. They may be given written instructions, but some artist give verbal instructions, where most likely you will forget. Also, tattoo care is totally different from taking care of a regular wound, so its best to research first and learn the proper care of a tattoo.